Now through May 23, The New York Public Library presents a very nice retrospective taken from their photographic holdings. We lost all three women photographers in 2009 with Helen Levitt being the most famous. Her gallery, Laurence Miller, will have a major show later this spring. Her photographs here contain some of the most famous of her street scenes. The portrait work of Hofer is elegantly presented but the mini-star of this show is the dreamy work of Lilo Raymond. Her use of mist like layers that frame common objects is precedent for some of the color work done in recent years by a number of photographers of note. Evelyn Hofer was born in Marburg, Germany, and came to New York in 1946. She taught innumerable photographers who were drawn to her technical expertise and masterful use of the large-format view camera. Brooklyn-born Helen Levitt was an early pioneer of color photography. Her work in “street photography” made her the unofficial visual poet laureate of New York City. She worked for nearly 70 years as a photographer. Lilo Raymond was born in Frankfurt, Germany, and came to New York in 1939. 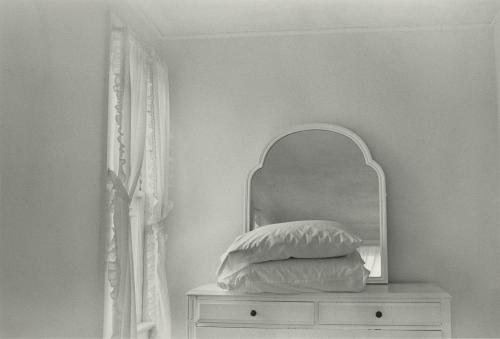 She taught for several years at the School of Visual Arts in Manhattan, studied with David Vestal, and published her first book of photographs, Revealing Light (in which all of the photographs on display in this exhibition appeared), in 1989.